Traditionally, troubleshooting business intelligence issues meant submitting a ticket to IT, which then logs and fulfills that ticket. This process comes at the price of business agility, as there‘s lag time between before the issue was fixed. With self-service business analytics, IT teams have the chance to get more value out of their reporting – and resolve issues faster. 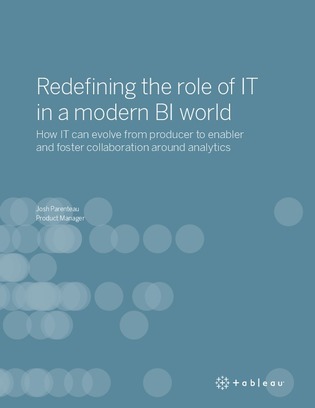 Read this white paper to learn about how IT is redefining their role in BI and analytics that will allow for a more strategic role that will be critical to the future success of your organization.